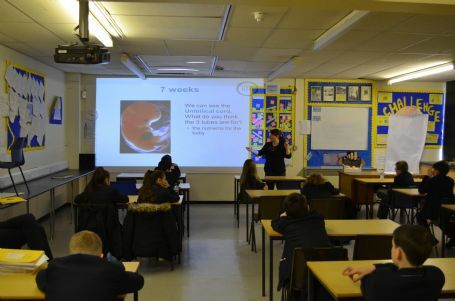 On Monday morning, Year 7 took part in a fascinating workshop on development. They were able to use models and watch insightful films that help them understand the early stages of life up to birth. Did you know we all start as eight cells known as Blastocysts? A Blastocyst could easily sit on the head of a pin. Our heart starts at twenty one days and our fingerprints form after sixteen weeks in the womb!